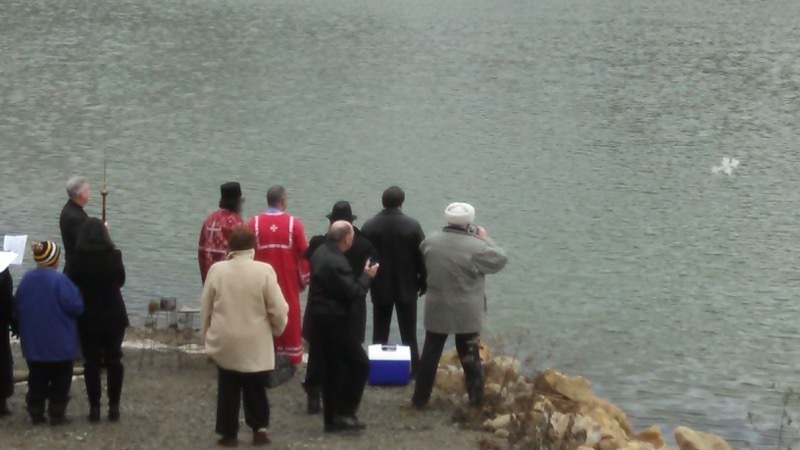 Eastern Diocese - The Annual blessing of the Monongahela River near St. George Serbian Orthodox Church in Carmichaels, Pennsylvania in connection with the Feast of Theophany began in 1999 and has continued to the present. Parishioners come to the riverside and the St. George Choir sings responses. 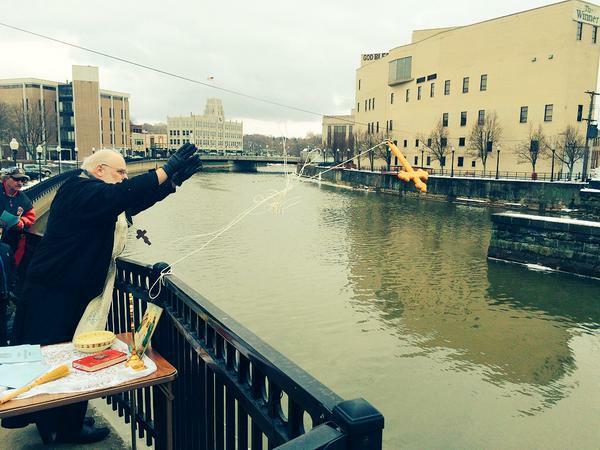 An ice cross prepared by Sonia Janson is placed in the river at the conclusion of the service. 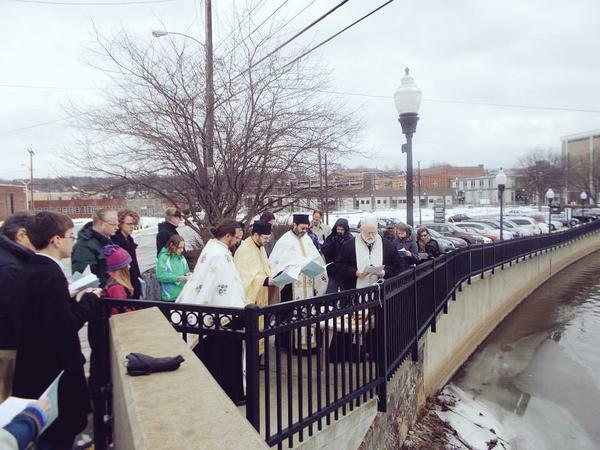 The fourth annual River Blessing in the Shenango Valley in Northwest Pennsylvania took place on Sunday, January 18, 2015, on the Eve of Theophany. Taking part in the pan-Orthodox service were Rev. Andrew Gall (Ukrainian), Hieromonk Calinic (Romanian), Rev. Milovan Katanic (Serbian) and Rev. David Mastroberte (Carpatho-Russian).